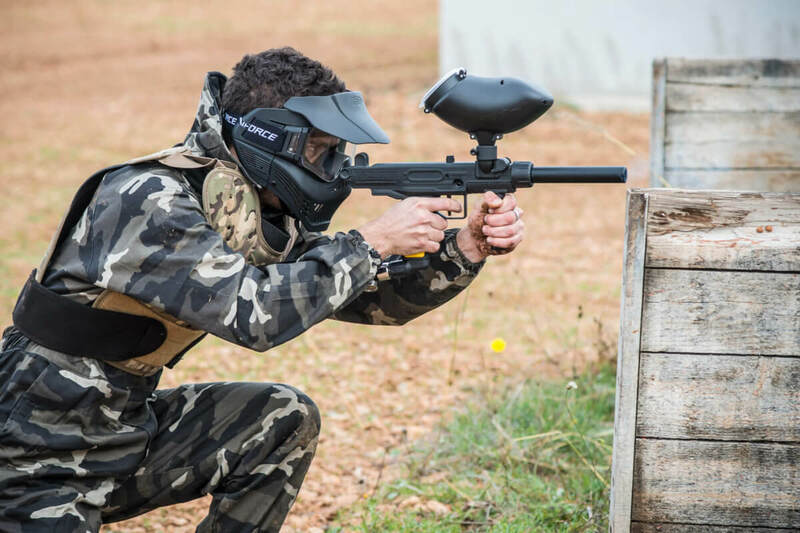 Mallorca Paintball, the best paintball in Mallorca. With passion, the new concept of Mallorca Paintball was born. An area of around 50,000m2 themed in different environments where the user should be carried away by adventure and adrenaline. The best equipment that guarantees fun and safety. In Mallorca Paintball you can enjoy a complete experience thanks to all the complementary services we offer. Get carried away by the Mallorca Paintball spirit! Everything you need to enjoy an unforgettable experience! All the comfort to make the experience perfect. Free access to enjoy an open-air barbecue. We provide the firewood for free! Soon we will have a football field 7. For sports lovers! Parking service, equipment rental, etc. Mallorca Paintball has different scenarios with different themes. Choose the one you like the most and … enjoy! Feel the greatest fun in about 50,000 m2. Pure adrenaline in the largest Paintball on the Island. Enjoy a revitalizing shower after a hectic experience. Free transport service between Lloseta train station and our Paintball. Maximum comfort! Surf the internet in our facilities to share your experienceon social networks with the hashtag #MallorcaPaintball. We have several themed scenarios for you to choose what your adventure will be.